36/2 Thanon Rattanathibet has a Walk Score of 80 out of 100. This location is Very Walkable so most errands can be accomplished on foot. 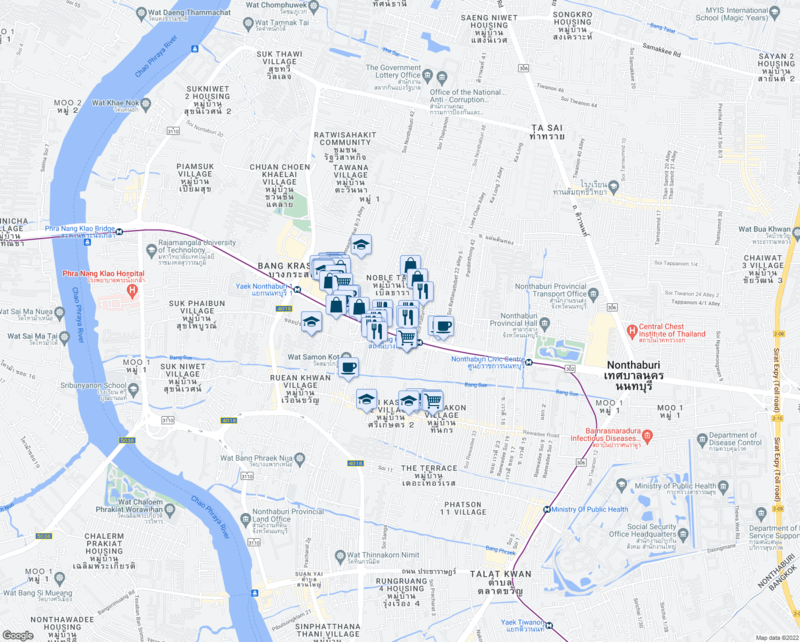 Nearby parks include wisudamahone, สำนักงาน. ตัวแทน กุนหว่า ประกันชีวิต ของ. อลิอันซ์อยุธยา ประกันชีวิต allianz ayudhya and Makutromsaran Park. 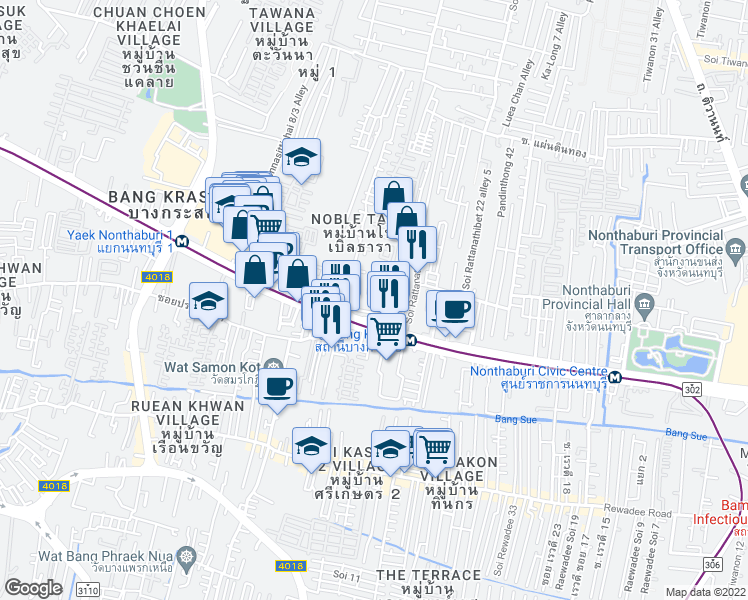 Explore how far you can travel by car, bus, bike and foot from 36/2 Thanon Rattanathibet.